Do You Have to Give up Drinker Friends When You Give up Drinking? 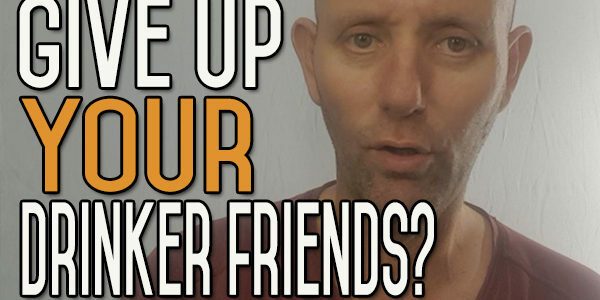 Today’s question is – Do you have to give up Drinker Friends when you give up drinking? This is a response to a comment I got over on the Alcohol Mastery Website and I would like to talk about this being misconception about what I believe. In a couple of videos, I’ve said in order for me to stop drinking, I got rid of all my friends, in the perspective of that I had to choose whether they were friends or Co-Conspirators who egg you on and give you license to drink. 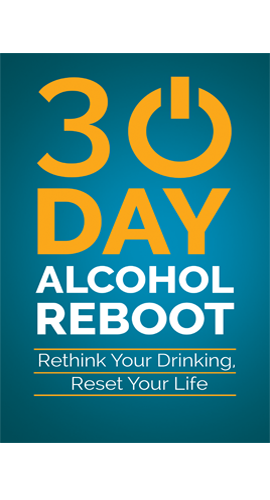 Personally, I think it’s very unlikely and virtually impossible to give up your drinker friends – it’s just something that sometimes happens. I can’t think of many of my friends that absolutely don’t drink at all, I can’t think of any off hand. I didn’t smoke at the time, that was gone. I developed some relationships when I moved to Spain – people I was drinking with – they weren’t long time buddies but they were still people I was getting close to. I think you are going to isolate yourself if you are try to push yourself down the road where your friends are only non drinkers. If I was single and I was looking for a date and a long term relationship, I would certainly be looking for someone who didn’t drink. I’d certainly be looking for someone who didn’t drink or drank very small amounts of drink, a little bit like my Auntie who drinks one glass of Sherry every celebration. On a day to day basis – no drink. That’s what I would be looking for in a long term physical relationship with somebody. With regards to friends, I don’t really care, if they are, for instance, heavy drinkers, as long as they don’t drink heavily in front of me, I don’t care, as long as they’re not trying to force me to drink – I don’t care. It is my choice if I decided to be with them when they are drinking in front of me, and to sit there and listen to them whilst they’re drinking, although that’s one of the reasons why I don’t’ entertain heavy drinkers as friends, not that I don’t have friends who are heavy drinkers, just that I don’t want to sit their whilst they are drinking. I can get up, move off, go away and do something else, be with other people – leaving them to do their own thing. I go walking with people who are heavy drinkers, I watch Football with people who are heavy drinkers and I eat meals every so often with people who are heavy drinkers. Fair enough, I may have my meal whilst sitting with them and whilst they are putting away the drink but I don’t stick around afterwards. Before I quit drinking, I would join in with their heavy drinking at the table and I would go with them to the Pub afterwards or I would sit in the Restaurant for another two hours and just be guzzling all sorts of connections – Baileys, Beer, Wine – God the mess it must have been making in my Stomach! But anyway, that’s a different story. I’m just saying from that perspective I had the choice whether I wanted to move away and do something different. I find that drinkers, once they get past a certain point, are boring. I was boring when I was drinking! When I think about all the times that I drank, once I got to a certain point people would just disappear and I would not be aware of this! It’s only when I look back that I become aware of it. One person would leave, then another would move her kids away from me, then someone would go to the Toilet and not come back and that kind of thing happened on a regular basis and as I was getting more and more spewed, the spew that was coming out of my mouth was just getting more and more garbled, rubbishy, and childish. It wasn’t making any sense and it wasn’t fit conversation for anybody else who wasn’t also drinking. So, I’m saying that its virtually impossible to have relationships with people if you are going to solely be friends with the few non drinkers in the world. There are a lot of non drinkers in the world but unfortunately a lot of the non drinkers are in different countries. It is a non drinking country where I live in Spain. England and Ireland are not non drinking countries, America and Canada are not non drinking countries. You are going to find people who don’t drink much and that’s what I tend to do now. If I’m going out and I’m looking for friendships, I don’t look for them in Bar’s. I tend to drift off in different areas and get friends in different areas and you find people where the essence of the relationship isn’t boiling around drink. Before all my friendships were surrounding alcohol. They say you can judge a person by their five closest friends and guaranteed if you looked at my five closest friends back then when I was in Ireland, who would say – “Yeah he’s a heavy drinker”- because all my mates were heavy drinkers, this is what we did. I have a lot of family who drink and I go to a lot of family functions, which is a big part of my social life now and I just have to put up with that. There’s nobody really that’s doing the same drinking that I do. My partner drinks, she’s not a heavy drinker, but she would have a couple glasses of wine in the evening and that doesn’t bother me, it doesn’t change her the way it changed and my Partner doesn’t drink anyway near the volume I did. I have no problem with that type of drink. What they put into their bodies and what I put into my body is two different things. As long as they respect what I put into my body, I have no problem in respecting them. If they want to put this stuff into themselves, fair enough, it’s their body and their life. 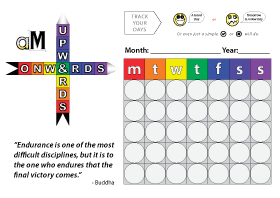 I stopped doing it for my own reasons and that’s it – that’s an end of it. Anyway, I just thought I would do a quick video on that I do not have a problem with people who are drinking. I don’t think anybody should completely isolate themselves from people who drink alcohol. I’ve always said that if you are in a friendship with somebody and their drinking is impending in your life then you’ve got to start questioning the friendship. If they’re drinking and they are trying to get you back to drinking, you’ve seriously got to start questioning this relationship. If they’re trying to get you in the pub and just sit in the pub whilst they are getting drunk and you’re drinking soft drinks, you know you’ve got to start questioning those types of relationships. 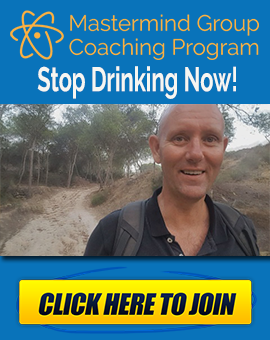 Drinking relationships – you don’t have to question – I’m not talking about that and I’ve never been talking about that, when you are around normal drinkers fair enough – as long as they’re not forcing you to drink – it’s all good. If you have any questions, give me a shout on the website or in the comments down below if you are watching on YouTube, give us a thumbs up. 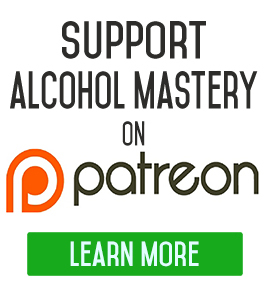 Subscribe to the channel by going cross across to the website https://www.alcoholmastery.com you will see the sub form for our regular newsletter. Right on point! I’ve had to leave behind a good number of friends as a result of not drinking alcohol. However I found an interesting and resourceful person inside that I’m really enjoying getting to know better. You are right, hanging around severely drunk people can be really difficult when you aren’t drinking. Even when I was drinking, there were some people I found too arrogant and repulsive to be around when they were hammered. And I am more than sure I was one of these people at times. I still get remorseful thinking about some of the things I said and did when totally smashed, and I sincerely regret the embarrassment I must have caused so many others to experience. I too would encourage everyone to avoid people in that condition whenever possible. Unfortunately, it is not always possible when these are established friends and relatives we are talking about. I suppose I now feel some level of responsibility to at least acknowledge their behavior and let them know that I cannot tolerate being around them when they are in that condition. At least to the extent that they perhaps can understand why it is I no longer want to chum along with them to the pubs etc. Unless they are made clearly aware that their behavior when very drunk is not tolerable, they are not likely to even consider the need for a change. My wife ultimately made it clear to me and I finally listened and understood. Perhaps someone needs to somewhat loudly blow the horn so that it penetrates the fog. If the ship continues onto the rocks, at least you made it clear as to why your ship decided to stop and turn around when you still had the chance to do so.